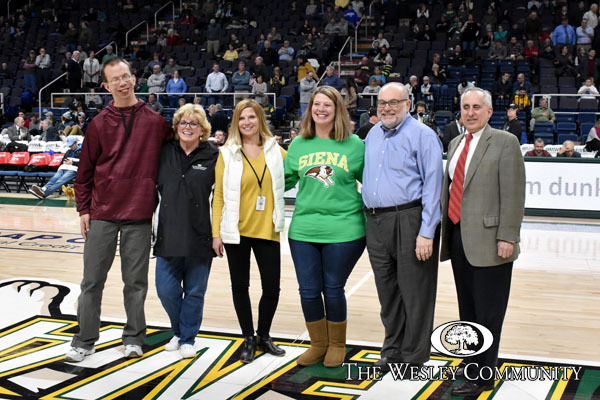 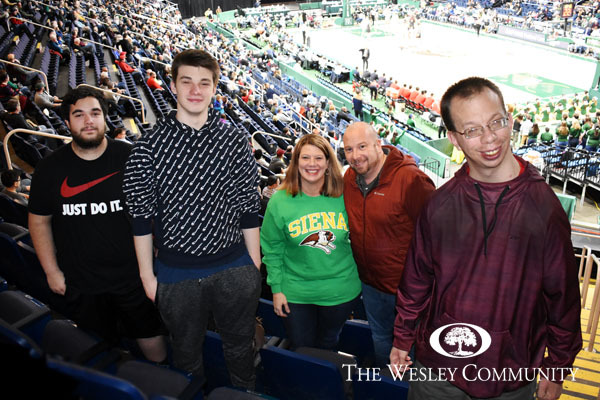 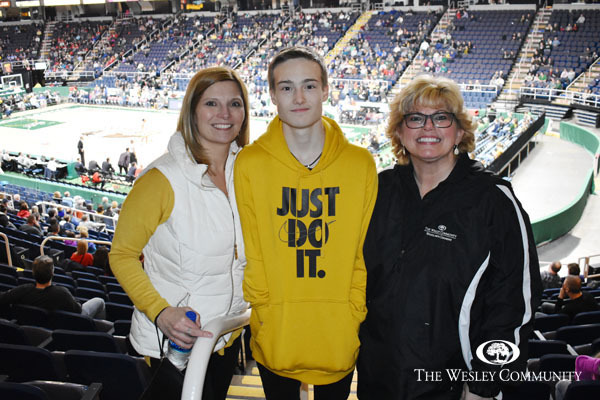 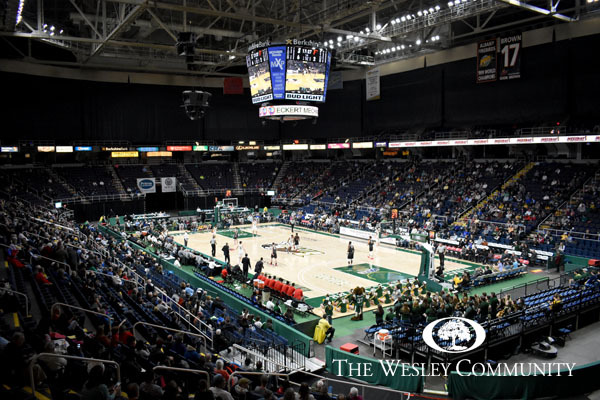 The Wesley Community was recognized on the court at half-time. 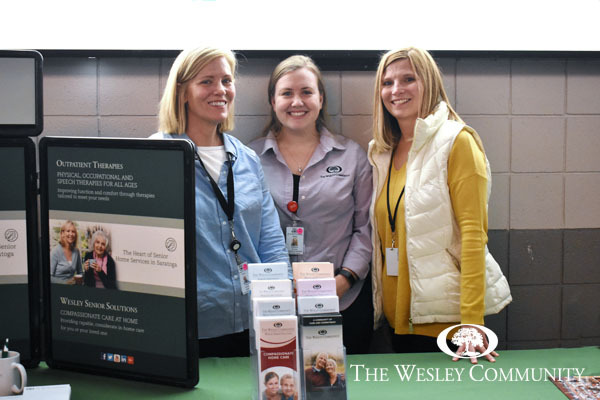 The Wesley Marketing Team at The Wesley Community’s table. 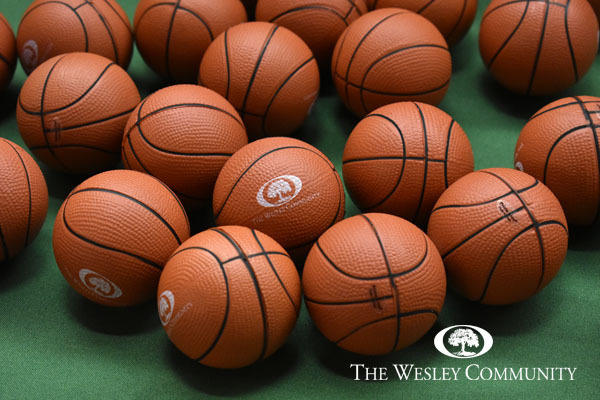 Wesley passed out free stress balls in case the game got too close.